OEM air cleaner top lid for a Land Rover Discovery 2 II. Very good used condition. No cracks or holes. Part numbers above are for the complete air cleaner assembly and are for reference and aid in searching for this part. Will fit 1999 2000 2001 2002 Land Rover Discovery with 4.0 V8. 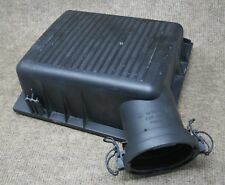 Genuine Land Rover Discovery 2 Air Box Lid. This will not fit 2003 and 2004 Discovery with 4.6. Trending at $47.95eBay determines this price through a machine learned model of the product's sale prices within the last 90 days. Land Rover Discovery 2 Air Intake Hose OEM 03 04 Tube Pipe 4.6 V8 . This is a used intake tube. The mass air flow sensor is not included . You will get the mas but It is not tested so I cant say if it works. The clamp is broke as pictured but they all are. The fitting that always fails is intact and in good shape. Overall this is a good replacment if you need one. We have a New Genuine Air Filter Box Upper Cover Lid fits Discovery 2 1999-2002. We are Rover people. This is the complete intake for any Land Rover LR2 from 08-12. This one is in great shape. No cracks or splits, no stess cracks on the end from being over tightened, or signs of ever being hot. It was removed from a running motor with no problems or warning lights. 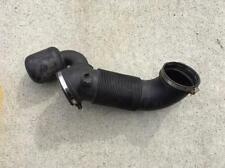 Genuine Land Rover Discovery 2 Air Intake Tube / Pipe. Will fit 1999 2000 2001 and 2002 Discovery II D2 with 4.0 Bosch V8. Applicable Models: DEFENDER 90 / 110 /130 ALL MODELS. High quality components for your Defender Sports styling, strength, & improved air flow. we may ask for photographic evidence or write off the goods. Up for sale is a new OEM air cleaner duct. Thanks for looking! Part # ESR4237. Discovery II 99 – 02 4.0L. RANGE ROVER SPORT 2005 - 2009 4.2 V8 PETROL. FOR RANGE ROVER 2006 - 2009 4.2 V8 PETROL. Land Rover or other logos and trademarks used on this site is for reference only. we also speak the following languages. This is a secondary air injection pump for any Land Rover Discovery 2 from 99-04 or Range Rover 4.0-4.6 from 99-02. This one is in great shape. It was removed from a running driving car with no engine problems. KBX exterior upgrades are designed to evolve and enhance your Land Rover Defender or. • The KBX logo is embossed in Grille and Lamp Surrounds. Evolve & Enhance your Defender & Lamp Surround Kit but has been designed with an open front panel which gives your Defender a stylish finish and improved air flow. KBX exterior upgrades are designed to evolve and enhance your Land Rover Defender or. • The KBX logo is embossed in Grille and Lamp Surrounds. Colours and options available: Firenze Red. Evolve & Enhance your Defender. Part # DHN000050. INTAKE DUCT HOSE. FREELANDER V6 2.5L. This is a secondary air injection pipe with both valves for any Land Rover Discovery 2 from 99-04 or Range Rover 4.0-4.6 from 99-02. This one is in great shape. It was removed from a running driving car with no engine problems. Product Number: WIB100030. You are viewing a good, used OEM secondary air injection pump from an 04 Land Rover Discovery 2. Should fit 99-04 Land Rover Discovery II only. Trending at $64.73eBay determines this price through a machine learned model of the product's sale prices within the last 90 days. Part number: HRC2678. 94-99 Land Rover Discovery 1. Good used OEM upper intake manifold throttle body from a 97 Discovery 1. From VIN 714242. SHOWS SIGNS OF NORMAL WEAR. PART # PHD500075 ,PHD500074. AIR INTAKE DUCT TUBE. 2003 2004 Land Rover Discovery Series II 4.6. Air Filter Housing Box. OEM Genuine Land Rover P38 Range Rover Air Intake Tube. Will fit 1999 4.0S with GEMS engine (Will not fit 4.0SE or 4.6HSE with Bosch Engine). Will fit 1996 1997 1998 4.0SE and 4.6HSE. 1999-2002 Land Rover Discovery Series II Air Hose. Trending at $37.99eBay determines this price through a machine learned model of the product's sale prices within the last 90 days. OEM air cleaner top lid for a 1999 to 2002 Range Rover P38. Very good used condition. No cracks or holes. Part numbers above are for the complete air cleaner assembly and are for reference and aid in searching for this part. We have a New Genuine Air Filter Box Upper Cover Lid fits Discovery 2 1999-2002. A will buy from again. God knows I will, I own a land rover. s x ( 113. Land Rover Genuine Range Rover Sport OEM Factory Factory Genuine OEM Trailer Wiring Harness. Land Range Rover Sport LR4 LR3 LR2 Discovery Defender Freelander Genuine OEM Accessories Parts. ). Pulled from: 2008 Land Rover LR2. Match with the part number provided. Part: Air Box Intake Cleaner Filter. No personal Checks. Part # LR008383 . Defender Tdi & Td5 (Diesel Engines - NOT NAS). Snorkel KIT. Weight: 8.12 lb. Land Rover Defender 90 / 110 300TDi, TD5 & TDCi/Puma's wing vent right hand only. KBX HI-FORCE SPORT SIDE GRILLE FOR LAND ROVER DEFENDER. and that is considered to be their full responsibility (with no exclusions). OEM Range Rover P38 Air Cleaner Top Lid Cover Airbox. Condition is Used. Shipped with Economy Shipping. Part # PCM100220 ,ESR3777. DISCOVERY II Td5. RANGE ROVER P38 AIR INTAKE FILTER LOWER PART only HOUSING CLEANER BOX 99/02 OEM 4.0L. 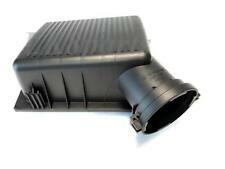 LAND ROVER DISCOVERY II 99/02 RANGE ROVER P38 4.0L AIR INTAKE FILTER Lower Part of BOX only. 95/02 RANGE ROVER P38 WITH 4.0L BOSCH ENGINE. PCV Crankcase Vent Oil Separator. Breather Hose Kit. Land Rover Genuine Range Rover Sport OEM Factory Factory Genuine OEM Trailer Wiring Harness. Land Range Rover Sport LR4 LR3 LR2 Discovery Defender Freelander Genuine OEM Accessories Parts. We do our best to provide used quality automotive parts to you for a reasonable price. We are working in the warehouse daily so check back often for new inventory. We do keep many seats, fenders, engines, transmissions, doors, hatches etc to several vehicles. Genuine Factory Pollen Filter Cover. Land Rover Genuine Range Rover Sport OEM Factory Factory Genuine OEM Trailer Wiring Harness. 1995 ~ 2002 Range Rover 4.0/4.6. Land Range Rover Sport LR4 LR3 LR2 Discovery Defender Freelander Genuine OEM Accessories Parts.